The Binay Tamang-Anit Thapa led faction of the Gorkha Janmukti Morcha (GJM) will hold its first ever public meeting at 11 am in Darjeeling on Sunday after the two leaders were expelled from the GJM by party chief Bimal Gurung in September. It will also be the first ever meeting after the state government had set up a Board of Administrators for the Hills, with Tamang as its chairman. 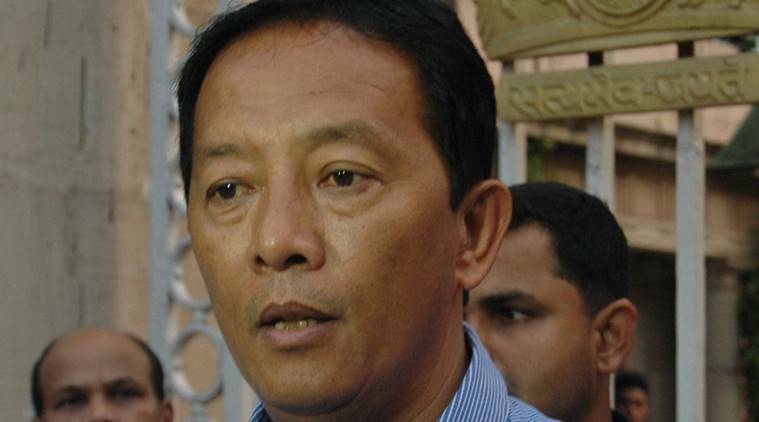 Darjeeling has always been a stronghold of Gurung and his own constituency, Tukvar, falls in the district. Thapa, one of the main speakers at Sunday’s meeting, admitted that the rally is being held to determine how much strength their faction has gained. Political observers in the Hills, however, described the scheduled meeting as “nothing less than a watershed moment for Darjeeling politics”. “Tomorrow’s meeting will determine the future course that the Hill politics will take. If the Tamang faction can show that it has the requisite strength and if thousands of people turn up for the meeting, then it will show that the Gurung faction is waning and that the new leadership has made inroads into Hill politics. Not just Tamang, but there will be space created for new leaders from GNLF and Jan Andolan Party,” said a political analyst in Darjeeling. “From what I have heard, the Tamang faction has also penetrated into Tukvar. Many GJM co-founders have switched over to the Tamang faction — Dawa Lhama, Jyoti Rai and Diwakar Gurung — just to name a few. There were around 90 members in GJM’s central committee and 35 have already switched over to the Tamang faction,” the analyst said. Sources said that in the coming days, the Tamang faction is likely to reconstitute its central committee, inducting more members into it. Meanwhile, Chief Minister Mamata Banerjee will hold the next all-Hill party meeting on November 21 to carry forward the bipartite dialogue. The Binay Tamang-Anit Thapa led faction of the Gorkha Janmukti Morcha (GJM) will hold its first ever public meeting at 11 am in Darjeeling on Sunday after the two leaders were expelled from the GJM by party chief Bimal Gurung in September.